Breakfast has been proved as the most essential meal during the day for an individual. It makes the body function healthily after the long fasting period during the night. If it is light and nutritious, the better we feel. I confess- making breakfast is the job that I hate most. I always dream that I had someone at home who would cook breakfast, I could eat it and rejuvenate myself. But alas, at my home I am the only cook. I have to cook for the three of us and we don’t share the same love for the common breakfast items. The breakfast I like most, my son would not touch. The ones my husband likes, my son or I won’t like. So it is always compromise when it comes to breakfast. My son being the youngest almost always gets his wish fulfilled. On Sundays when I feel lazy, we order breakfast from outside and that means unhealthy food. Oily food often leaves me lethargic throughout the day. I prefer simple foods for breakfast. South Indian food from outside often come loaded with oil and spices. I get sick most times. Kellogg’s cornflakes is a blessing for mummies, working women and of course, all bachelors who are away from home. When I first heard about the Kellogg’s Wale Guptaji, I couldn’t wait to taste their breakfast. Mrs Gupta is rumoured to make yummy breakfast using Kellogg’s corn flakes. She has the help from her chef bhaiyya Ajay who helps her come up with innovative breakfast ideas. Pouring milk over a bowl of cornflake was my only breakfast idea until now. When I visited their YouTube Channel at https://www.youtube.com/user/kelloggindia, my eyes popped out with happiness. They have so many recipe videos. Check out five of them here. See the tag line she has come up for each recipe. Cute, right? My son is such a fussy eater and I always worry about how he will get the nutrients that are so necessary during the growing up phase. He likes cornflakes and I believe I can use these recipes to create yummy breakfasts and snacks for him. I can take a sigh of relief. Mrs Gupta is supposed to have created 100 yummy recipes using cornflakes. My god, I can’t wait to have breakfast at their home. Kellogg’s is updating their channel with newer recipes every day. As cornflakes is a healthy breakfast item, I can also adopt many of these for the whole family. I like experimenting in my kitchen and the recipes that are already shared are so easy to make and yet tasty and very healthy. When we have a ready bunch of such yummy recipes available online, why should we even hesitate? We often have corn flakes stored at home. And the ingredients of the recipes are items that are readily available in almost every household. So what are you waiting for, visit the Gupta’s and find out their reason for happiness. This post is written for https://www.facebook.com/anaajkanashta and https://www.youtube.com/user/kelloggindia. Children can teach us many things. Usually we learn many of our virtues once we become a parent. We learn to be patient, we learn to be better cooks and we learn to multi task. But there are habits that are unique to kids that will help us become better human beings. Let me list six of them. Kids are always happy and find ways to remain so. They can play with their LEGO blocks for hours together without getting bored. They can play ball with their friends, unmindful of time or weather. Once we grow up, we learn to become the worriers, the strategists who will always live either ruing over the past, which is gone or worrying about a future, which has not yet come. Have you ever seen a kid who stops playing a game because he/she is not good at it? They persist until they succeed. They have this unique gift of remaining focussed on their item of interest that they will try to master it repeatedly. We can take a leaf out of their book to learn this. Kids like to experiment with new things, and show a unique enthusiasm. Every change is interesting for them. Take them to a new shop, mall or park they look around with enthusiasm. They look forward to meet new friends, play at a new park and adjust to things like ducks to water. We grownups worry over every single change that we have to face. Wouldn’t it be nice to learn this virtue from them? Blurb: Devastated by floods, Bipin and his little boy Tublu move to a faraway land, where they meet the Sharmas. This marks the beginning of a long and enduring relationship between Bipin and the Sharmas, and the growing friendship of their children Tublu and Maina. The book captures the journey of this friendship through childhood to adolescence and into adulthood. From some interesting school and college humour, the story progresses on and develops into a mature narrative. As years pass, Tublu’s plain and silent crush on Maina develops into deep love and longing, which bears the potential to conquer all of life’s challenges. The story has its share of drama that entertains; humour that makes one reminisce; love, friendship and emotions that define the amazing journey that is, life. About the Author: Jahid Akhtar is a software developer by profession. 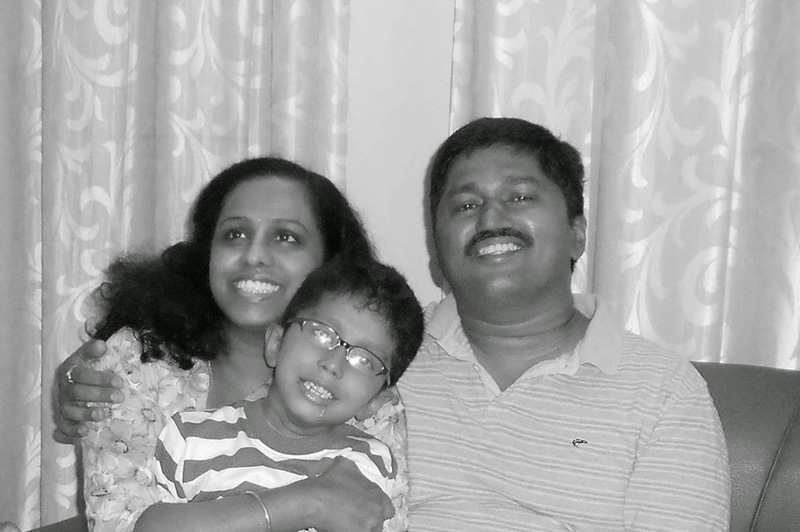 He was born and brought up in Assam and resides in Bangalore with his wife Anjali and their little daughter, Jia. Jahid enjoys writing about some unforgettable moments, in his blog titled Flashbacks. When I received this book, I was intrigued by the title. 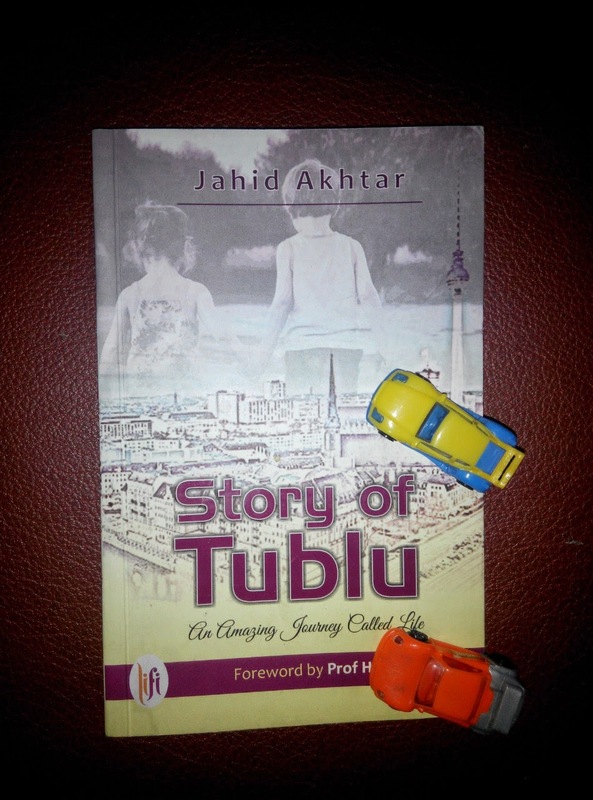 It is Tublu’s journey- from being a dependant in the Sharma family to becoming an independent and successful citizen. Tublu changes as a person through the journey of life but all along the only thing that is constant in him from the time he meets Maina is his silent love for her. The book describes the life of the main characters in the same endearing style that Jahid writes his blog posts. Straight from the heart narration, from start to end, it doesn’t deviate anywhere. Major characters that come into Tublu’s and Maina’s life bring in humour, adventure and even love. I found the sudden changing in narration from one character to another a little abrupt at times. And even places and events changed fast. The adolescent adventures of Tublu and his friends is narrated with frankness. Ragging, embarrassing moments, crushes, love stories, the book is filled with anecdotes from Tublu’s life. Tublu emerges as a person who has lived a simple life and one who is focussed on achieving his goals. Be it his career or his personal life. Even though he is the son of a dependant in their household, the Sharmas consider him as one of them, sees to his education and he is with them through their ups and downs. Maina, didn’t appear as someone suitable for Tublu. She appears a shallow character who doesn’t show any depth in her love towards anyone in her life. But as first loves often remain unforgotten, Tublu is obsessed about her. I finished reading it in three hours straight. It was a tension free afternoon read for me. Pick the book up if you want an escape from the gore and tensions that fill many of the books that come out these days. I was named after someone my mother admired, an acquaintance of hers, at her work place. I was okay with my name. It was a rare name at the time. My full name was Preethi Kannada then. But I didn’t like my mother’s family name which was my surname because of two reasons. First, it was a synonym for glasses in my native tongue and secondly it was also a language name. I had plenty of nicknames and adding to the woe was my surname. I never wrote it on my books. I kept my name short. 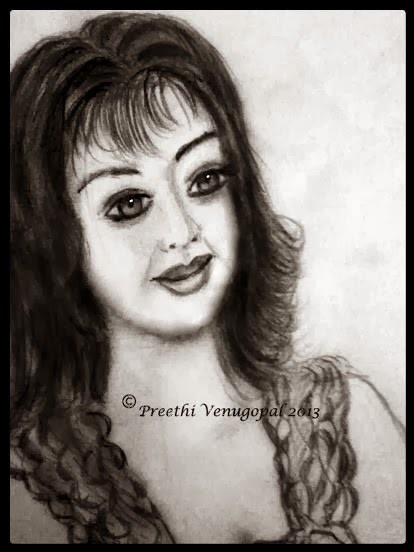 I was just Preethi.K . 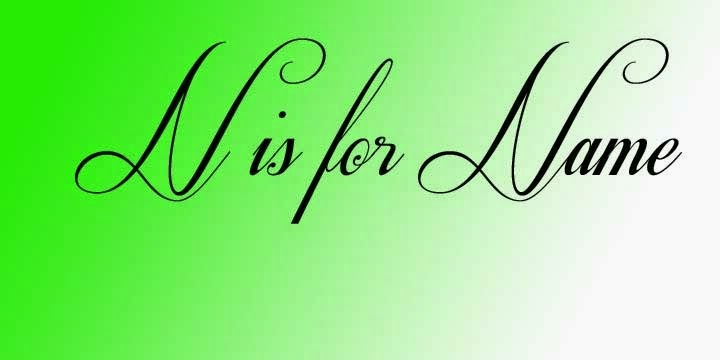 Only a few knew the expansion of my initials all the while. My brother and sister had adopted the family name without any issues. They were brave souls! Those who knew my surname would ask me whether I knew Kannada language or ask me about the meaning of the bizarre family name, or ask whether I wore glasses. I was ill equipped to face the ridicule that followed usually. You know how mean kids can get in school. So my surname hid under my initials for a long time and it was never revealed. Then I got married after I completed my Engineering degree. 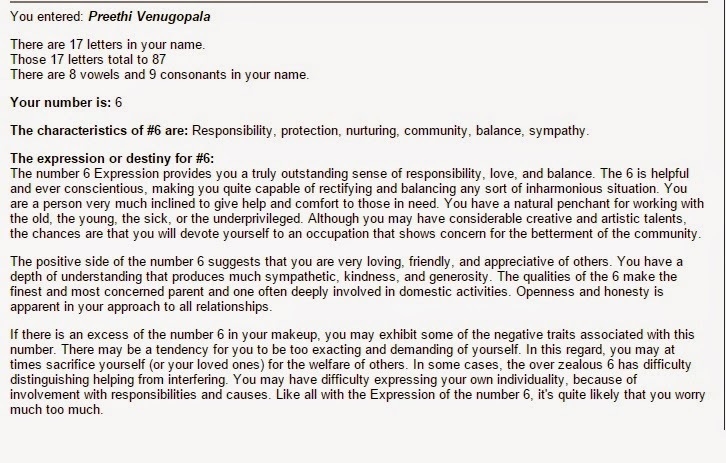 My husband’s name is Venugopala and he is known as Venu or Venugopal to his friends. I quickly adopted his name as my surname as it sounded cool. It was also the name of Lord Krishna, the most worshipped and loved God among the Avatars of Lord Vishnu. 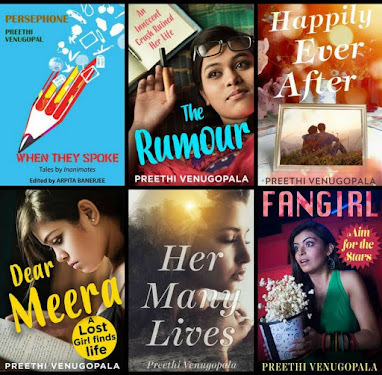 I quickly created a Facebook account with the name and I became Preethi Venugopala to all. I loved my new name. Nobody had asked me to change my surname. It was my decision. But our names do change us, doesn’t it? I have mellowed down with this change in surname. It is as though the name has given me a new identity. 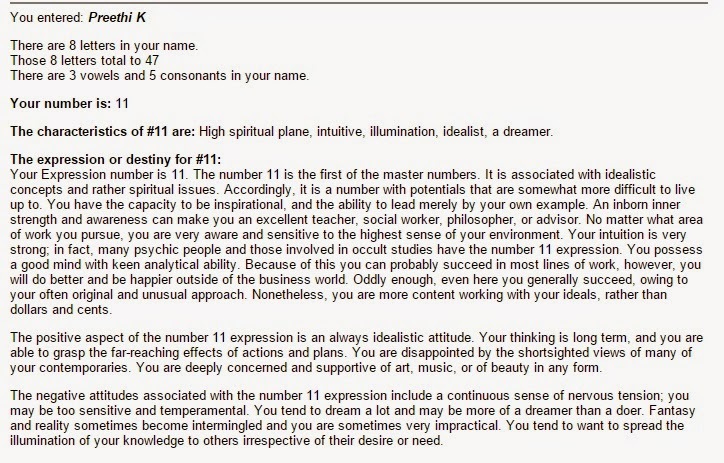 The numerology sites help me argue my point. 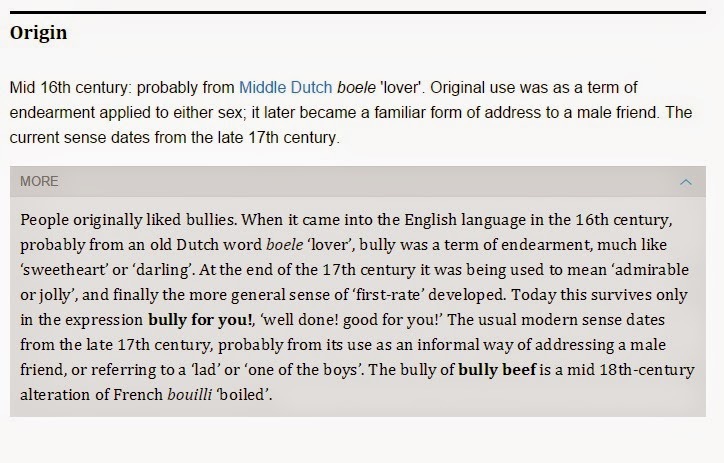 Look at the reading about my name before and after the change in surname. I am not in favour of changing surnames after marriage as a custom. If you like it, adopt it. If you don’t, keep your maiden name. There should not be a compulsion. It has to be done with love. After marriage you do get a new identity. You become somebody’s soulmate and become a member of a different family. But that doesn't mean that you should change your surname as well. 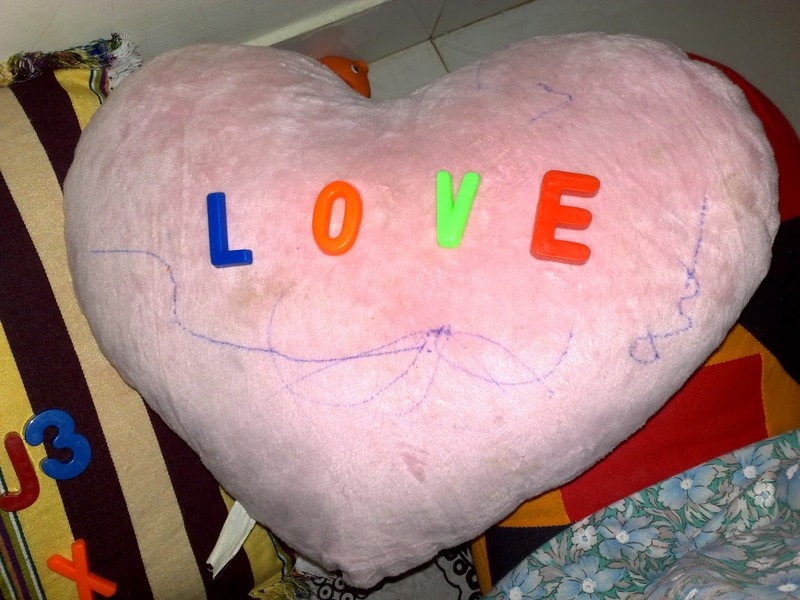 Didn’t we all doodle our names with that of our crushes while in school to check whether it matched, whether it was awesome or whether it sucked? Same way, doodle your name, find the impressive one, and keep it. I have read about traditions of families where the bride is required to change her name after marriage. Not surname, her first name. But again, it depends on love and ability to adapt to the change. No one should be forced to follow it. After all, in the illusion that life is, we do create much ado about everything. And why to spare a surname? This post is written for the Indispire Edition 56. Home is always where happiness is. Even if we are wallowing in darkness due to our personal problems or work tensions, the moment one reaches home and sees the smiling faces of our loved ones, we attain peace. Days filled with tension becomes cheerful and happy. Two years ago, I had my MA literature exams. I had joined a correspondence course to fulfil my long cherished dream of learning literature. I was a Civil Engineering graduate and hence studying for literature was as different as chalk is from cheese, for me. All that helped me was my reading habit. I had read half of the novels prescribed in the syllabus. But poetry, drama, early English, criticism and linguistics were strange fields for me. I had begun studying for it earnestly months before the exams was to begin, but I had a toddler to look after and a house to manage. It was tough. Free hours were rare. But I squeezed in a few hours of studies every day after my husband and son slept. With hardly a month to go before the exams, I panicked one afternoon and broke down in tears. I had applied to write for both years of MA simultaneously and that meant ten days of continuous examinations. Naturally, I felt I would never be able to complete studying the portions or pass. When my husband returned from office that evening, he understood something was wrong from my moody silence. He made me sit with him and I wept uncontrollably. I told him I was a fool to have applied for it, as it was so different from what I had studied. My ardent love for literature was probably not enough. Initially he let me blabber all the things that I wanted to let out. Then he began to talk. He told me how passion was all I needed for anything. It didn’t matter if I scored well. All that mattered was that I wanted to learn literature as it was close to my heart. “If you can’t manage to attend all the examinations at a stretch, skip a few. You can attend it next time. Concentrate on what you find easy and leave the rest. And yes, there is no compulsion. Don’t worry about the money you paid. It is all for your happiness. If it is making you miserable, leave it. You don’t need an MA to prove that you love literature or to pursue your writing dreams,” he said. It was as though a burden had been offloaded. I began to see the exams pragmatically and not with dread. With my tension gone, I was able to concentrate on my studies better. He started to come home early and would take care of our son and help me with cooking. He took fifteen days leave during exams from office and arranged a taxi to drop me and pick me back as the exam centre was at a distance of one-hour travel by car. My toddler who would not leave me alone for a minute spent hours in company of my husband alone. When he missed me, he would come into the room where I was studying behind closed doors to hug me and say he loved me. A story full of dreams, love, destiny, confession, vengeance or say something beyond LOVE... Unlike sadness and happiness, LUCK ain't a feeling. It's just a notion. An unstable notion. A moment of sadness can never become a happy memory, and a moment of happiness can never become a sad memory. But that's not the case with luck - a moment of bad luck might eventually become a good memory for you, because YOU NEVER KNOW WHEN A BAD LUCK IS SAVING YOU FROM SOMETHING WORSE. Confusingly amorous Aryan, a guy besotted with daydreaming. Super snobby Tanvi, an ardent crush of Aryan. Sublimely angelic Parina, Tanvi's sister who loves Aryan. And the bad...bad boy Varun, the secret lover of Parina. ...remember after every autumn, the flora senses the rapturous kiss of cheerful spring. Atul Purohit (Born 21st April, 1991) is the founder & CEO of Write India Publishers and the compiler of 'The Unbreakable You' (An anthology of 27 unbreakable stories.) He was born and brought up at Ahmedabad. He completed his B.tech in Electronics & Communication Engineering from Rajasthan Technical University, where he tried his hand at writing for the first time. He went on to satisfy his creativity instincts and penned down his own love story. He strongly believes in entertainment, activism and knowledge. He is also a prolific blogger, and ethical hacker. He loves playing Snooker & Volleyball. Often books give insight into the personality of the author, as unconsciously every author puts a part of him/ her into the book. But what if the book is a fictionalised memoir of the author’s life? It becomes more interesting. Because truth is often stranger than fiction. 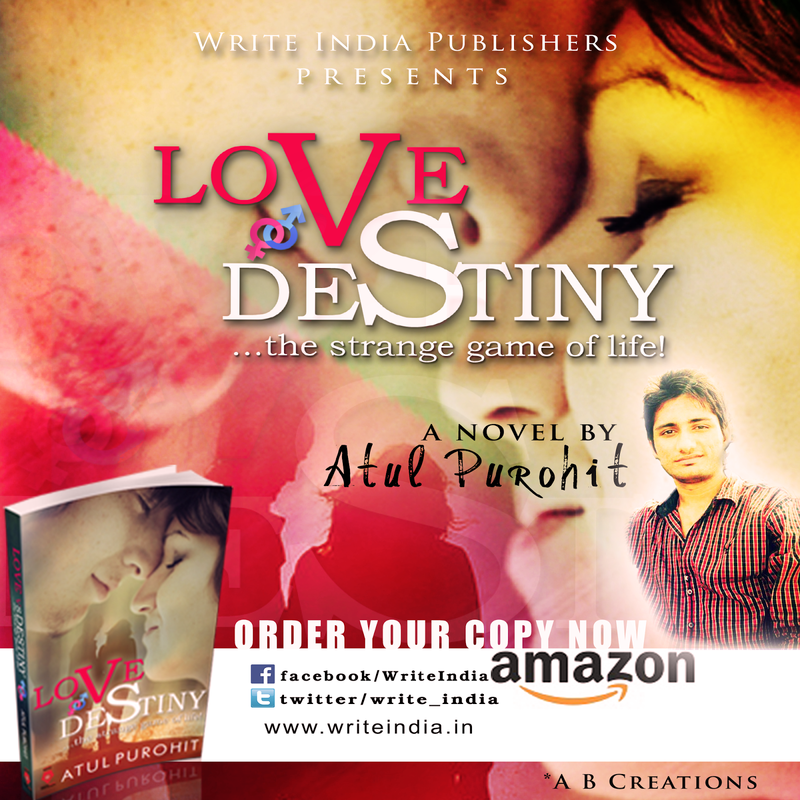 Atul Purohit pens down his own love story in an endearing manner. There are no heavy words to grab your attention, no grandiose metaphors or anything to show off verbosity of the author. It is written from the heart and hence touches the reader’s heart. Through the pages, you read about the various stages in the life of the young boy. From the darkness of his childhood where he studied at a boarding away from home to the pleasant love affair that he develops with a girl in his neighbourhood, everything is told in a language that is simple yet it keeps you turning pages. In an age where lust rules than love, this simple love story about two true lovers was like a fresh breath of air for me. The language itself is simple and the narration is very vivid with day today happenings in the life of the narrator Aryan. His fears, his insecurities, his dreams all have been written about. 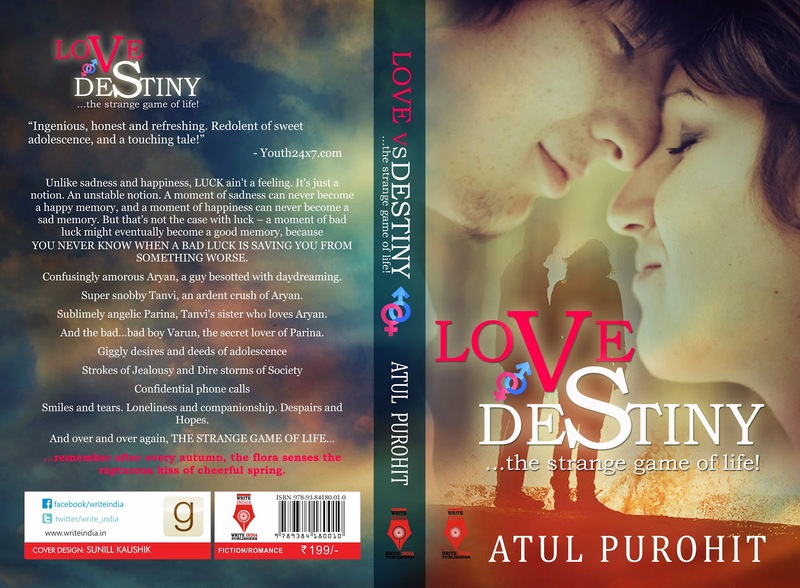 The beliefs and traditions of Rajastani and Gujarati Families, the festivals, the Dhandiya, everything finds mention in this book, which talks about the conflict between love and destiny. Does Aryan succeed in finding true love in Parina? Or does destiny throw them apart? Read this novel to know more. It was during one of the most traumatic periods in the life of my family that the writer in me was born. We had lost our dear father and we all were in denial about the loss. We couldn’t believe that the person who was our pillar of strength, the sunshine of our lives was no more. I tried to distract myself by painting. I created more than 40 Acrylic paintings within a span of two months. The pain remained. Colours were not enough to drown out the pain. My health suffered, I was frustrated and sad. I read about the law of Attraction, how negative thinking brought episodes in one’s life that are more negative . I read about the ability of words to erase pain, to bring about change in individuals and helping them to move on. I wrote in journals initially. But I knew, I had to distract myself from reality and had to create a parallel world where it was all rosy around, where positivity and happiness reigned. This Blog was born to fulfil those very needs. I write positive stories, positive poems and articles on the effects of positive thinking which I had adopted. Undeniably, my world changed. Words began to work their magic. From being just a stay-at-home-mom who was once a busy Civil Engineer, I became a published Author, an Editor and an Artist. I use my paintings on my Blog as add-ons to illustrate my stories. Though people want to buy my paintings, I have not sold any till date. I have gifted them, but I can’t put a price on my creativity. Until now, two of my stories have appeared in print, in the Second Life Anthology and Blank Space. 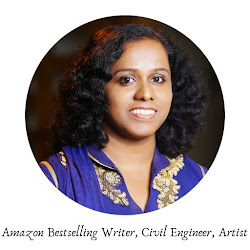 Many others were published on online platforms and magazines like womensweb.in, Writer’sEzine and Readomania. My novel is about to be published this year too. I also contribute articles to online portals. Blogging circuit brought me new contacts and I was requested to step in as an editor for two Anthologies. One was Blank Space and the other will be published shortly. 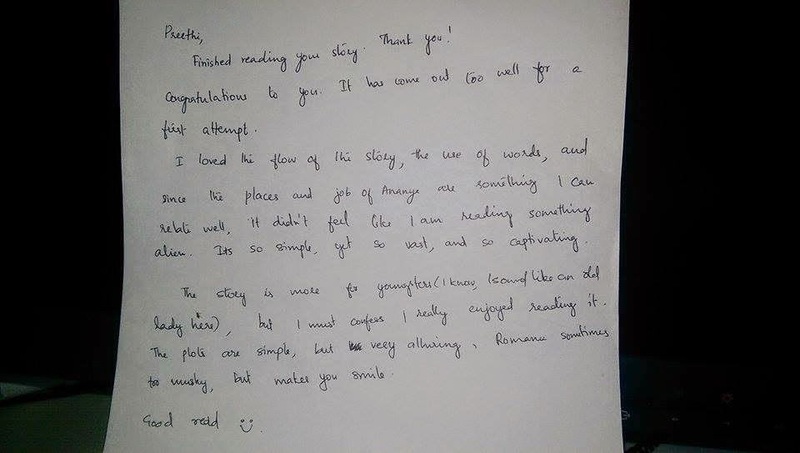 I write stories regularly on my blog and have a set of regular readers who appreciate my stories. I met many with whom I vibe well with and also found people who inspire me with their word, their work and their enthusiasm towards life. 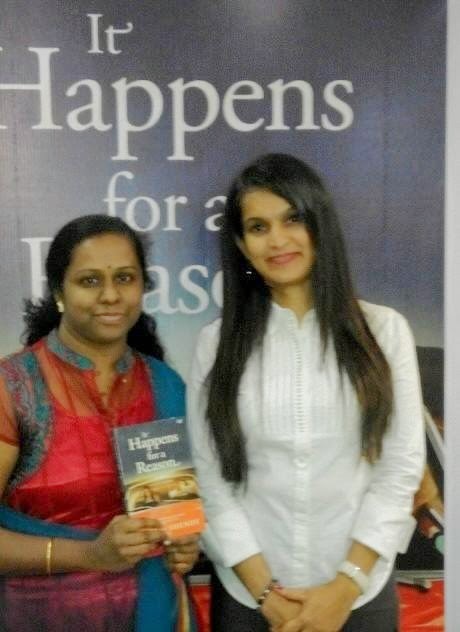 Another significant change happened when I entered into the Game of Blogs competition. 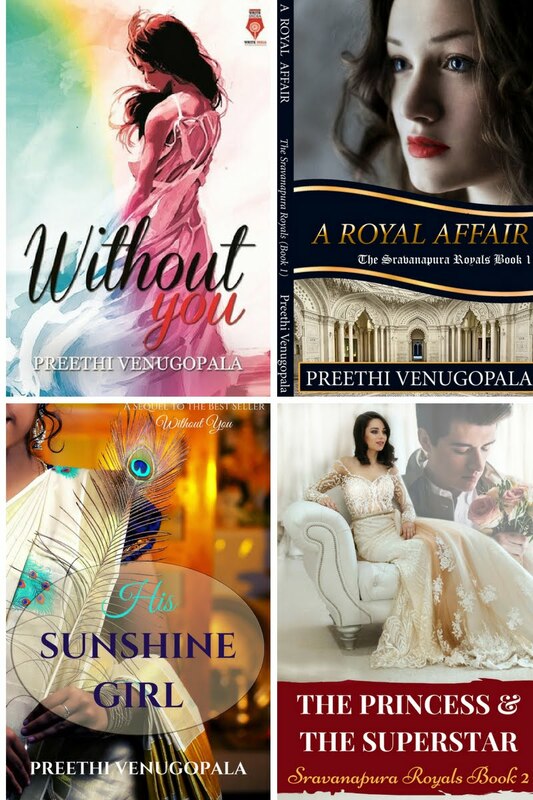 The challenge was to write a novel along with your team of 10 bloggers within three weeks. We struggled to decide on a story-thread, we debated, we wrote thousands of words every day, edited and met deadlines effectively. Among thirty teams, our team emerged as the Winner. Leadstart Publishing will publish our Novella this year. What started as a desperate attempt to get over a traumatic loss has transformed itself into a career for me. I have become serious about writing and I try to learn more about it daily. I read more. I update myself with the best writers and their books and follow them online to get inspiration. All this, I believe, is because I am my father’s daughter. He always was a champion at overcoming obstacles and challenges. This March 19, it will be four years that he left us. But daily I find inspiration from his life, his words and his positivity. Still tears blind me when I write about him, but these tears make me strong. Maria loved writing letters. They made her feel alive and brought cheer into the colorless life that she led. The addressee, never received these letters as they never found way to the mailbox. They were the bearers of her unbridled emotions, her toughest decisions, her heartbreaks. Every single one of them addressed to the man she had almost married. It had been a life changing summer for Maria, the summer of 1978. Joseph came into the cafeteria where she worked, drank coffee, ate croissants and scones and somehow found way into her stubborn heart, which had never opened up to anyone. Joseph asked her out for dinner that night and one thing led to another and soon they were a couple. He was a bright student at the nearby university, studying to be a lawyer and she was an eighteen-year-old high school dropout , who was the lone bread winner for her family- a sick mother and three younger siblings. “Maria dear, I would be the President of the United States one day,” he would say, that was what he wanted to be. And Maria would smile her innocent smile. Her world was just him; she would spend hours listening to him talk about his ideas, his visions. She would assure him no one else would make a better President of the United States. Days passed and within a year, Joseph proposed. During their wedding rehearsal, she overheard an intense argument between Joseph and his professor Mr. Smith, his mentor as he had often mentioned. “You are committing the biggest blunder of our life. A life with Maria would lead you nowhere; my daughter is the one you deserve. You need funds and she comes with that. You need a highflying career, for godsake. Marrying that good for nothing waitress would put an end to all your ambitions,” said Mr. Smith. “Mind your words professor. You are talking about my would-be-wife. I don’t care for the riches or my ambitions. I love her. I love her more than I love my career. I know you are right, but I can’t and won’t leave Maria. I gave her my word. I won’t betray her,” said Joseph and something in his voice told Maria that his decision was killing his dreams. Eventually it would kill their love. Was their love strong enough to stay afloat in the bitterness of disappointment? Next day, a note arrived for Joseph early in the morning. It was from Maria. Maria ran away to North Carolina and settled there for life. Her Joseph, married Mr. Smith’s daughter Linda eventually. “They make a fine pair,” Maria told her mother when the marriage photo of the senator from Texas appeared in the newspaper. She wept hot tears, wrote a long letter congratulating Joseph, and added it to the pile of unsent letters that occupied an old iron trunk. Years again passed and soon Maria watched Joseph taking oath as the President of the United States. Every day, Maria devoured the newspapers which would have photos of him attending one or the other function. As the initial euphoria of celebrating a new face died down, the press as it often does, dug into Joseph’s past and published an article about the girl the President had almost married. That led to a series of articles that sought to find her current whereabouts. One young reporter from the New York Times, Nancy Daniel traced Maria to North Carolina and next day pictures of her appeared in the front page of all national dailies. Myriad Captions adorned her photos. “Almost First Lady.” “The Lady who lost it all.” Maria cringed. Her house became surrounded by paparazzi. She never spoke to anyone. Her neighbors and friends hogged lime light by giving interviews to magazines and newspapers. Her visitors tried to pry details from her. She kept mum. One morning Maria woke up to an article that featured her trunk of unsent letters. It even had excerpts from her letters, which was an outpour of her love for Joseph. Maria ran inside to find the trunk gone. All she could do was weep. They were not just unsent letters- they were her soul. A few weeks later, in the middle of the night a sleek black car arrived at Maria’s house. When the bell rang, Maria opened the door to find two soulful eyes looking into hers, a pair of blue eyes, which haunted her dreams every night. “Yes, Joseph,” that was all he said before kicking the door closed. Without waiting for another moment, he pulled her into an embrace and Maria forgot the world. Her tears drenched his shirt. How long they stood that way, they would never know. But eventually they managed to sober down and Maria made coffee for him- without milk, two spoonfuls of sugar, just the way he liked. “Get ready to be the First Lady Maria. And trust me, this time if you leave me at the altar, I will follow you even to the ends of earth and I will punish you for making me go through hell these past fifteen years,” he said. “What are you saying? You are married. And that too happily. I have articles to prove that,” said Maria. “Newspapers, they seek news and we feed them fake news. The last time I believed in a news was the one I read about a trunk full of unsent love letters to the President. All the rest are fake news my dear Maria. Linda hated me; she had affairs after affairs but stood by my side only to help her father realize his dreams of becoming the Kingmaker, the father-in-law of the President of the United States. He died last month and Linda left me officially yesterday, freeing me to seek you out. Her nemesis as she used to call you, the reason I never loved her. I never got over you my Maria, unrequited love is hard to forget. I know you did not forget me, the trunk that lies hidden in my personal chamber holds proof,” he said and wiped the tears that were steadily streaming down Maria’s chin. Days later, a Lady dressed in a blue summer dress accompanied a smiling President to board the Air force one that was taking off on a two-week long official visit to Europe. “My Lady, remember this is our honeymoon trip. Be near me always,” whispered Joseph with a wink, holding the door to their cabin open for Maria to enter. “I will, every moment I thank my God for giving you to me,” said Maria and the tears that shone on her lashes were proof of her everlasting love. Her unsent letters had showered heaven's blessings upon her. Each baby is unique. Kids have a way of endearing themselves to us by virtue of their innocence and zest for all new things that appear before them. New things amuse them and they want to experiment with all possible items. When my son was two months old, he would become excited when I would make him wear new pampers. He had come to associate changing pampers to going out for a walk or his sleeping time when he would get to swing in his cradle. Both were happy times for him. His favourite toy then was a plush ball, which had a bell inside. Every time he moved it around, the bell would chime and he would laugh aloud. Until he became six or seven months, that particular ball was his favourite. By his first birthday, he had taken a liking to auto rickshaw models and every trip to the market would add to his collection of autos. We had autos of every shape and colour blocking our paths in the house, and no, no body had the right to keep them away. One had to have special permission from the owner. Sometime after his first birthday, I made him watch nursery rhymes on YouTube and he instantly took a liking towards them. Every day he would demand to watch his favourite rhymes. And there was a forbidden one among them, the Ba-Ba-Black sheep song which began with a close up of a black sheep braying. Somehow, this particular sheep scared him and if he saw the snippet of this rhyme anywhere on the screen, he would run away. This rhyme became our stop button for his rhyme sessions on You tube. When he grew a little older, he fell in love with English alphabets and numbers and very soon, they became his best friends. With pampers giving him freedom from wetness, he would play on his toy laptop which would trace and re-trace alphabets and numbers much to his happiness. He surprised us by learning the Alphabets and numbers all by himself. We didn’t teach him to draw even a single curve. He had become an expert in Alphabets by the time he was eighteen months old. He could even read small words like cat, bat etc. When we put him in playschool, every day when I went to pick him up, he would be showing off his prowess in numbers and alphabets to his teachers. He could even count backwards from twenty to one. And he could recite alphabets in reverse order. His teachers labelled him little Einstein. The only bad habit he had was that he refused to grow out of diapers and insisted on wearing Diapers while most of the other kids were slowing learning to use the potty. But what I couldn’t teach, his teachers and perhaps other kids of his age taught him and slowly he was properly potty trained. My son has turned six now. Throughout all these years, what has remained strong is his love for languages. He has learned Hindi, English, Malayalam, Punjabi, Bengali, Thai, Greek and Japanese alphabets downloading the apps, which help kids to learn these alphabets and he has created power point presentations of all these alphabets. He tells me he wants to be an expert in languages. He is still little Einstein to his teachers. I am relieved to know that he no longer wants to be the auto driver, which he had confessed, was his dream job when he was a year old. 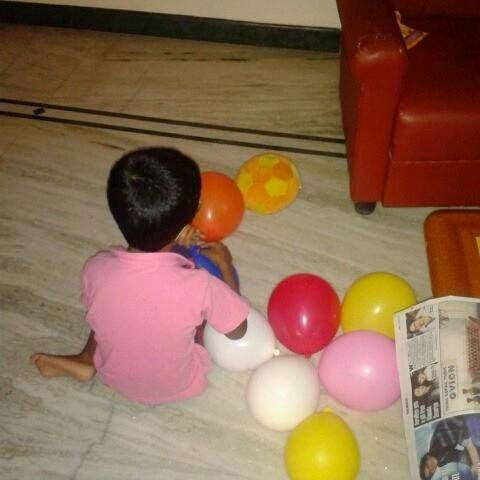 This post has been written for http://www.rewardme.in/tag/Pampers. Home is the place, which has love oozing out of every atom of it. Every brick has been laid with love and every furniture selected with care. The house becomes a living entity when a family moves in. An unused corner suddenly becomes the play area of a kid, the kitchen starts to smell heavenly and the rooms begin to record memories of togetherness, of love, of happiness. For the first twenty-five years of my life, my home was the place where I was born. It held memories of a little girl, pampered a lot by her father and one, who ruled over the entire house with her own set of rules. I had absolute freedom in what I wanted to do. I could ignore cleaning my room and eventually my mother or some other person would clean it. Nobody questioned my freedom and there was no need to prove myself before anyone. My mother taught me the nuances of housekeeping and cooking. I did them only when I felt like helping her or when I wanted to try something new. We had a maid and so I could laze around the whole day doing absolutely nothing other than eating or reading books. Things changed when I got married. At my husband’s house, everything was different. Like all new brides, I had no clue how to go about my day. While we used to sleep at my house at around midnight and get up late in the morning, at my husband’s house ‘early to bed and early to rise’ was the norm. I had to get up before the sun rose and had to help my mother-in-law in the household work. I had to fight with myself to adjust. It was very hard for me to undergo the change. But my husband helped me at every turn and encouraged me. Within a month, I adapted to the new routine and my parents were delighted at my change. Then came another twist in the tale. My husband joined for work in the UAE and we set up a home together for the first time. This time the change was harder. I was completely in charge of my home. I didn’t have a mother-in-law or mother to advise me as to what I had to do to maintain my home. Telephone calls were expensive and hence I depended on my kind neighbours for guidance. I too joined work but miraculously I managed household and work without any issues. Change again came with the birth of my son. 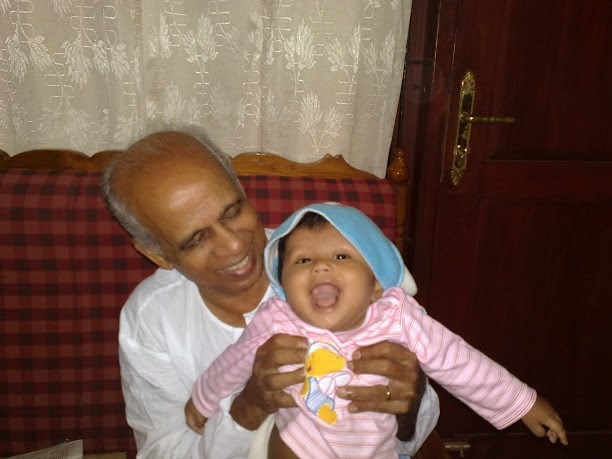 We shifted to Bangalore when he was just a year old. This time, I had a toddler, a very active one at that, to manage and my household duties as well. My son gave me sleepless nights, loads of dirty clothes and a chaotic house. I was still happy and content. Every day brought new cheers. Every moment was a revelation. My new home became my entire world and this home bonded the three of us together. A house again became a home, where love and happiness was cherished like fresh air. When love exists, every change is a happy twist in the tale. This post has been written for #lookup campaign by https://housing.com/lookup.